We have been hard at work improving Read the Docs over the past month. A large amount of back end work has been going on, and now we have a brand new documentation theme to showcase it. We have looked at how people use documentation, and built a beautiful and highly functional new interface for browsing documentation. We created a solution that looks great and works well. Dave Snider approached me about a month ago, interested in helping improve the documentation ecosystem. We talked about what could improve the Read the Docs experience for the greatest number of our users, and a new theme seemed like a great place to start. The full documentation page is now beautiful and streamlined. We got rid of the visual clutter and integrated a full-project Table of Contents in the sidebar. When you go into a specific page, a page-level contents get embedded in the sidebar as well. This allows you to keep context inside the documentation when you land on a page from a search. 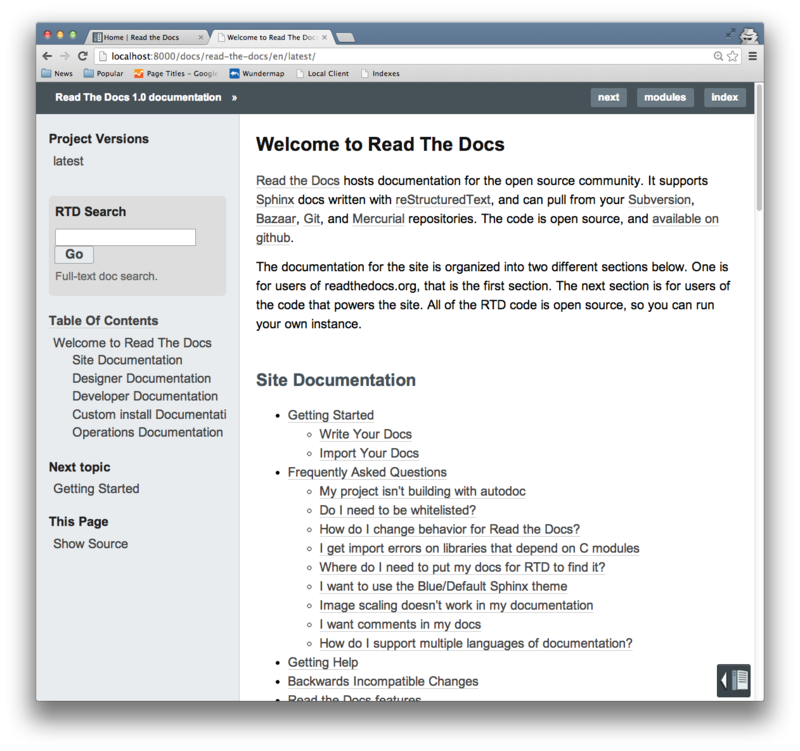 Read the Docs provides a lot of functionality for documentation projects. The flyout is the avenue to accessing that functionality. We need to pack all our functionality into this space. In the new theme, the flyout is integrated into the bottom left of the theme. The new theme really shines on mobile. 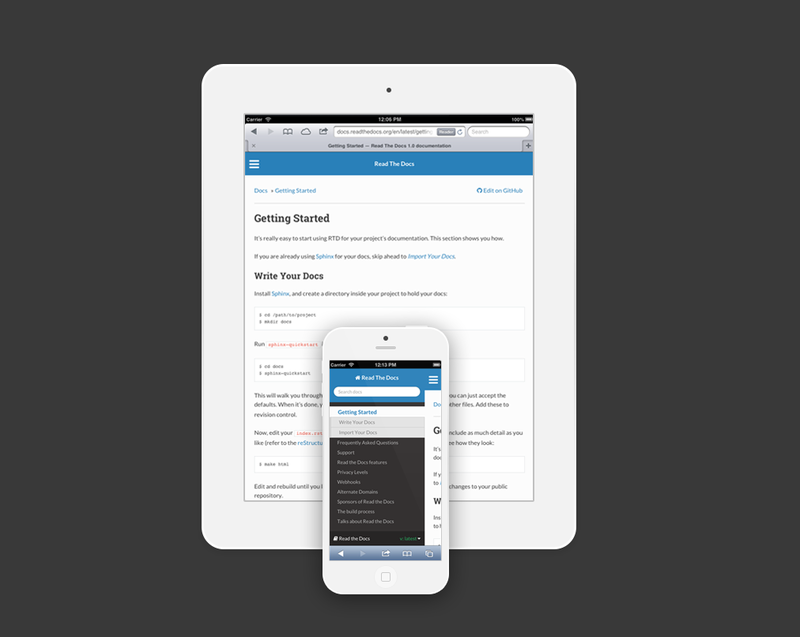 We provide a beautiful interface for phones and tablets, while staying completely functional. There are two ways that you can use this theme on Read the Docs. The first is to simply leave your html_theme variable set to default. 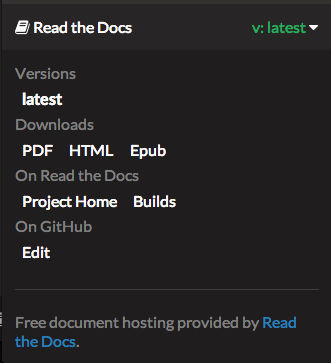 This is now the default Read the Docs theme. You can also set RTD_NEW_THEME = True in your project’s conf.py, and we will use our theme when building on Read the Docs no matter what html_theme is set to. If you want to continue using the old theme, simply set RTD_OLD_THEME = True in your conf.py. 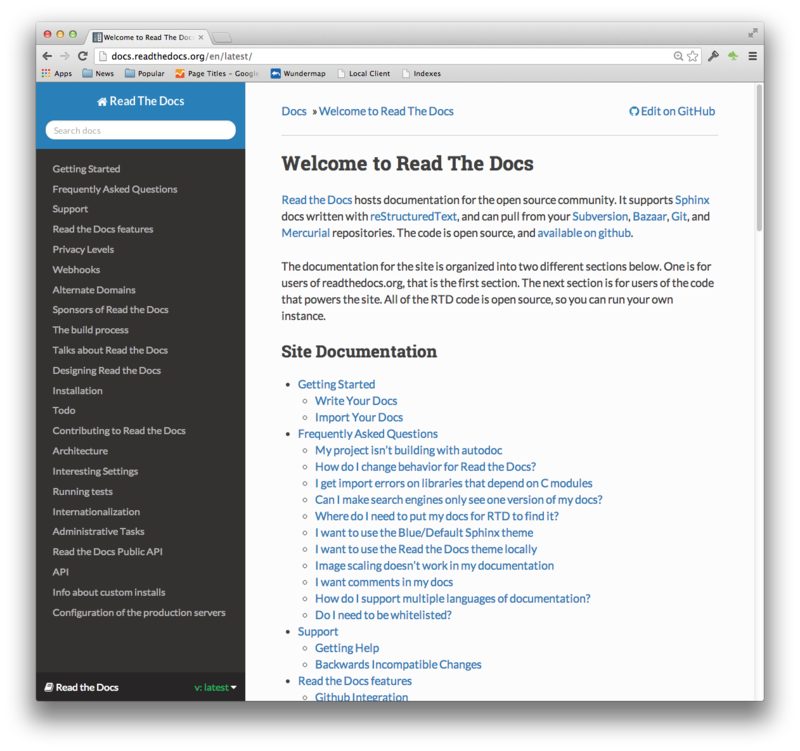 This theme is a great addition to the documentation ecosystem. It is highly functional and beautiful, allowing users to easily navigate and find what they need. We have a few more tricks up our sleeves, but theme is ready to launch today. Over the next few weeks we’ll be adding a bit more functionality to it, which should be even more delightful. I hope that you enjoy using it. If you have any feedback, please open an issue on GitHub. To follow announcements for Read the Docs, follow us on Twitter. If you want to support work like this, help fund development on Read the Docs on Gittip.